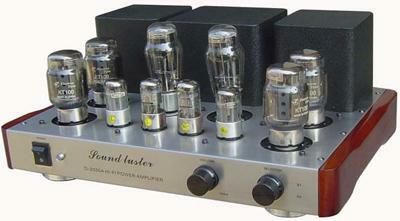 I purchased the Kt-100 Sound Luster amp. Very good sound and I must congratulate the workers, very good build quality of manufacture. I like the way it was put together and the components used. I cannot read Chinese therefore the manual has little use. Do you have a English manual Also any chance of getting a schematic? I run a company specializing in High end laboratory Instrument Repair. Thanks, and again my compliments to the workers and engineers, very nicely done.